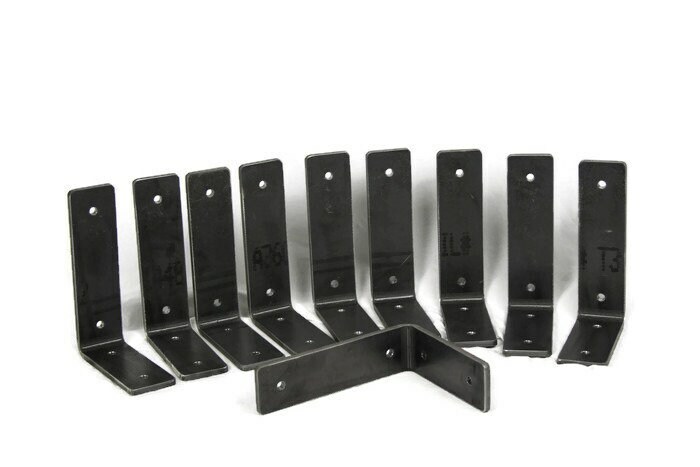 Medium Duty Steel Shelf Brackets are ready for any project! Install new shelves, support old ones or simply add a bolted hook to create a plant hanger! These heavy steel brackets are 3/16" thick. You choose the size and then choose how many you'll need in your set. 4x5" bracket is 1 3/4" wide. 5x7" bracket is 2" wide. Select "Sets at discounted price" for best pricing. For example if you need 20 brackets you'll want to select one set of 10 and then change the "Quantity" to 2. 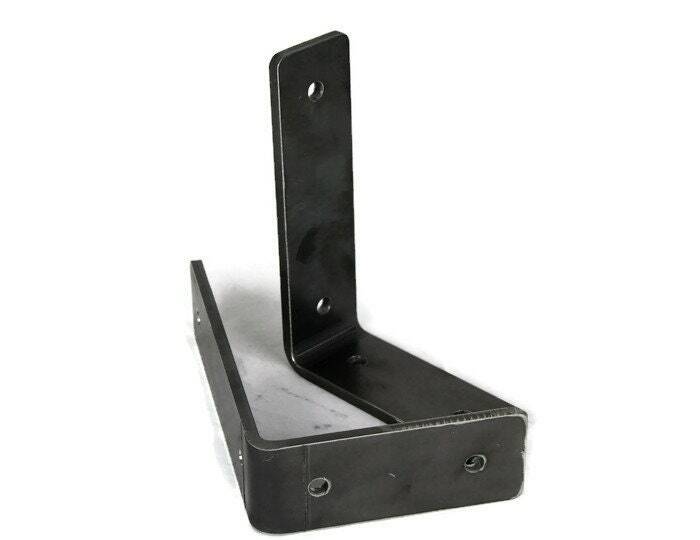 The durable brackets can easily support a 2x8 shelf and even larger sizes. Raw steel finish looks great with repurposed barnwood! Great for DIY shelving project! Each bracket can easily hold 50+ lbs. Buyer/installer is responsible for proper anchoring to the wall. Intended for vertical installation only -- not intended to hang weight from ceilings. Choose your size and how many in your set from the drop-down menu. 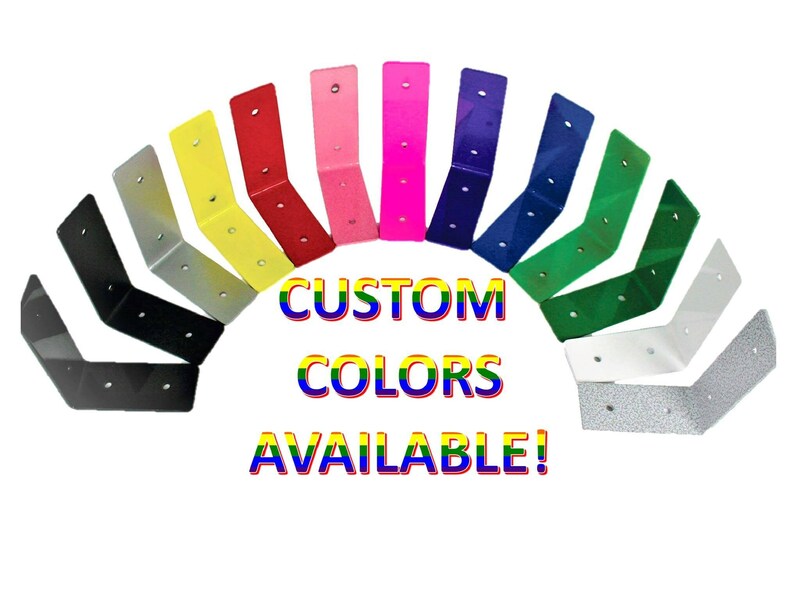 We can recreate this bracket in any size or color. Please contact us to customize. 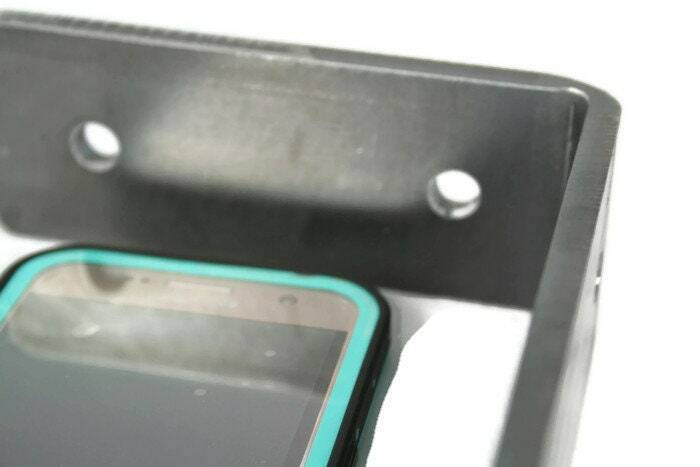 All of our products are made in USA and made to last!